Morphite generously borrows from its self-evident inspirations and scales it all down a few notches, spanning a galaxy full of procedurally generated planets that turn out to be a bit more compact when making landfall. It’s full of things to do, but most of it is just busywork that delays the progress of an otherwise solid main quest-line. The story of the rare material at the center of its mysterious tale, from which the game gets its name, is the only thing that will keep you coming back. Myrah is a teenager born in a galaxy that was once populated by long-forgotten empires and ancient evils. The mystery of the enigma known as morphite and its importance to this universe is introduced early on as she joins Kitcat, an AI that takes the form of a robotic feline, on a journey across the galaxy. The developers brilliantly place a breadcrumb trail that constantly brings about a mystery and quickly follows it up with an interesting revelation that made me even more curious as to the truth of it all. The world is scarcely populated with vendors, enemy ships, and both hostile and friendly alien life. Unlike No Man’s Sky, there isn’t an infinite number of NPC’s to keep you company in this lonely existence. While there are sections with waves of enemies, you’ll only be comforted by the sly humor of Kitcat for most of the adventure. In exchange for vastly smaller worlds with invisible walls, the developers would have done well to make the universe seem grander than it really is by including a larger number of interactive life. Walking up to a mute vendor, who inexplicably sets up shop with hostile life outside its doorstep, isn’t the most engaging of affairs. And strolling through large sections of nothingness only to take out two or three enemies is incredibly boring. 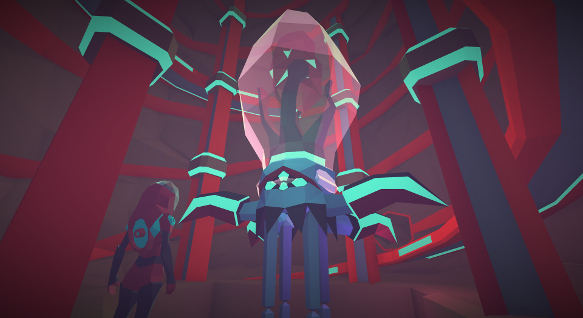 There’s just a sense of loneliness in Morphite, but not in a somber or eerie way. It’s just lifeless. And the same goes for the many space stations that are littered across the galaxy map. Each sun is surrounded by a station and a few planets to explore and plunder. These planets are either procedurally generated or one of the dozen or so that are used for main missions. The stations are nearly identical to that of No Man’s Sky’s in their architectural structure, and while there are quite a few adventurers residing in its hollows, there isn’t much sound bar the buzzing of white noise. However, its inspirations from No Man’s Sky don’t end there. It also lifts the mind-numbing gameplay loop of Hello Games’ sci-fi adventure. The game’s economy is centered on a currency known as chunks. Upgrading your gear or spaceship functionalities requires the use of these chunks, alongside resources and materials taken from planets. In order to continue playing the game, you need to travel to different planets. And in order to do that, you’re going to need to re-fuel constantly – even after upgrading your ship’s fuel reserves. And yet still, in order to re-fuel constantly, you’re going to need a lot of chunks. And that means a whole lot of mundane scanning. Players are equipped with a scanner to use on aliens and plant-life to then sell the valuable data collected from it for chunks. It’s not exactly the most satisfying way to spend a good chunk – that was too easy – of your playtime. And that’s what Morphite comes down to – a lot of mundane tasks in order to continue a fairly interesting story. In its attempt to create an alternative to No Man’s Sky, Morphite focuses too much of its energy on its enjoyable main quest-line, without much thought put into creating an engaging experience outside of it. While its story is more direct and the characters have a scintillating dynamic, it almost forgets that a satisfying gameplay loop must be the main draw for a game of its variety. And when those aspects are incorporated at their most basic of levels, it’s hard to stick around for a long period of time – at least long enough to see it through. Side missions are thrown on top for good measure, but their implementation is just as simple as every other aspect of the game. There’s nothing to see and not much but more chunks to gain. Morphite is exhausting in its meandering loop of planet-hopping, and it doesn’t work hard enough to keep the players’ interest. Even with its hodgepodge of tiny planets, the game may have done better to shrink its size to an even greater degree and focus on that which makes up the majority of the experience, away from the silly jokes and entertaining banter of Myrah and Kitcat. 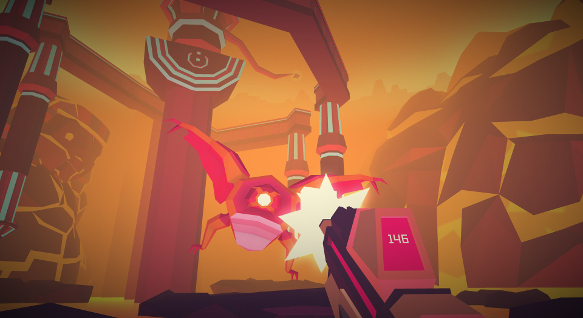 Morphite PS4 review code provided by publisher. For more information on scoring please see our Review Policy here.